PicsArt Photo Editor is the best free app for specialty editing on phones. 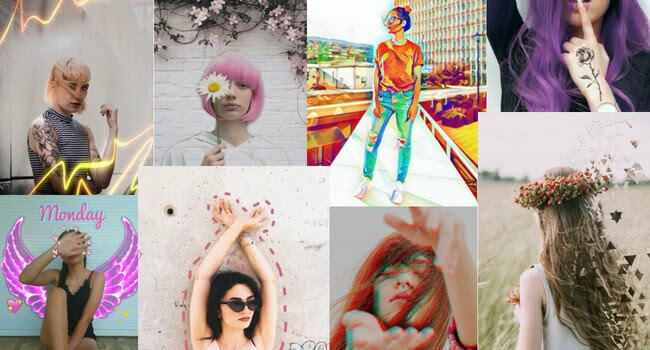 In this step by step tutorial, you’ll learn how to edit photos in PicsArt app and how to create 8 amazing editing looks using overlays, stickers, creative filters and more. PicsArt app is available for free download on both i-Phones and Androids. 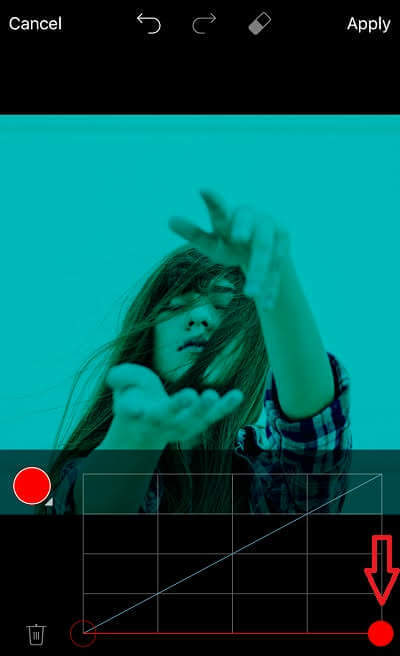 In the i-Phone App Store, you can find this app by searching for PicsArt Photo Editor & Collage. In the Android Play Store, the app is listed as PicsArt Photo Studio. To get started with PicsArt open the app and click the + button. Then select Edit, Collage, Draw or Camera. 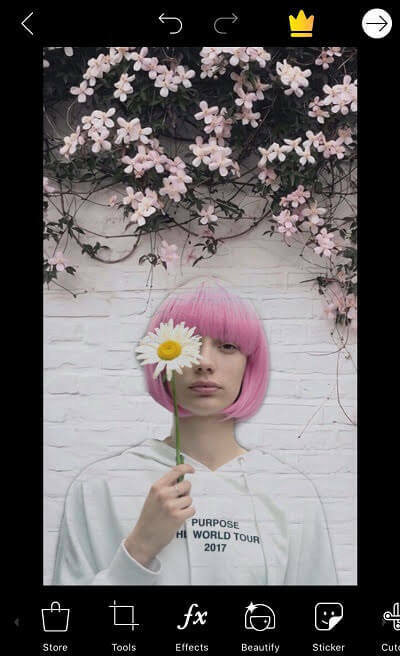 In this tutorial, we’ll cover how to edit photos using PicsArt’s Edit section which is where you can find all of PicsArt top editing tools from coloring effects to overlaying images to changing backgrounds and more. 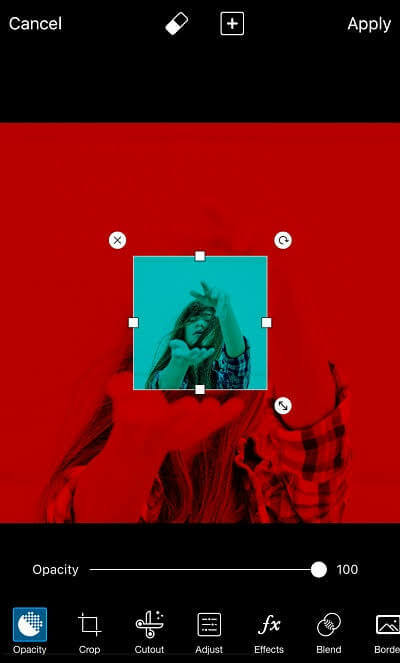 With PicsArt Photo Studio you can also create collages, edit from scratch in Draw or take photos under Camera. PicsArt Photo Editor comes with tons of awesome editing tools. 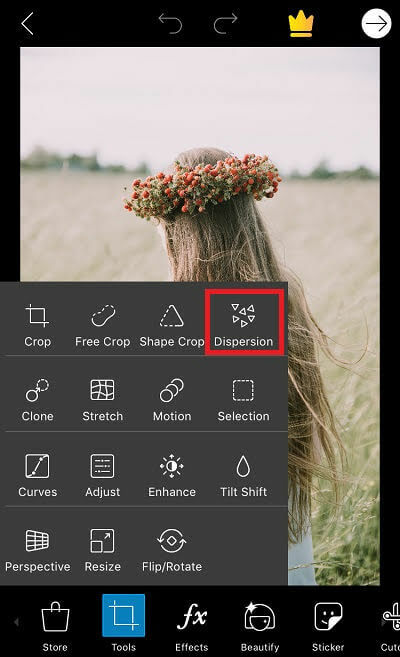 In this section, we’ll cover the Dispersion tool that creates flying dispersed triangles in the image. Go to Tools and select Dispersion and the size of your brush. Draw a few lines across your subject and click the arrow button. This will create dispersion in the image. To make the triangles look bigger and more spread out, move the Stretch button to the right. Then click Apply to save the edit and you’re done! 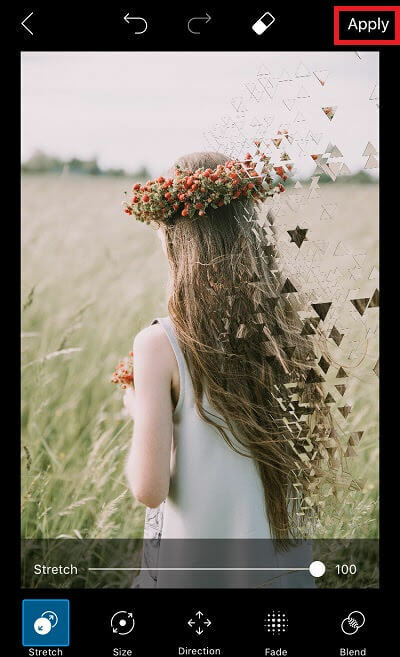 The Dispersion tool is a fun and easy PicsArt editing function to create an artistic look within seconds. Effects are really awesome edits that can be applied to images just like filters. 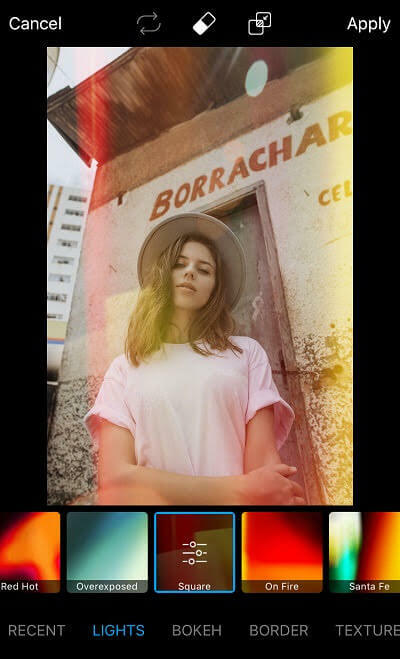 PicsArt Photo Studio comes with a lengthy library of effects to choose from. These effects range from subtle color effects to HDR looks and saturated filters that make images look like paintings. Tap through the different effects to experiment with different looks. One of the most used effects in PicsArt is the Colorize filter that can color the entire image in different color hues. Select the Colorize effect and then change the color hue to one that you like. Select the eraser tool and deselect the person to color only the background of the image. 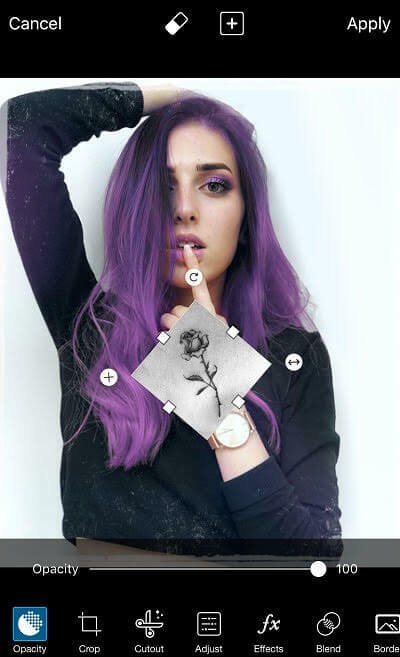 PicsArt Colorize effect is an easy way to change the background color while maintaining the original colors of the person or the subject. 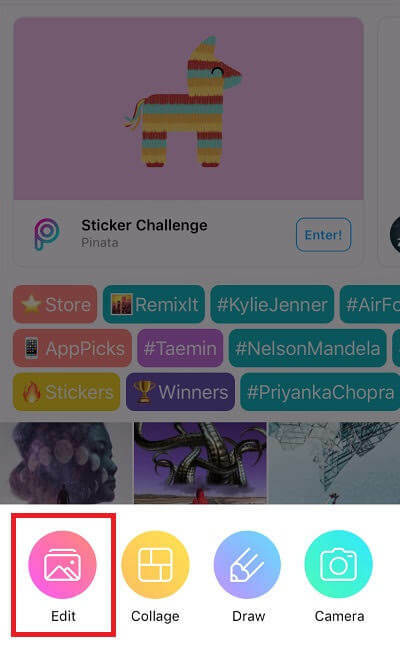 Stickers are images that can be layered on top of other images. 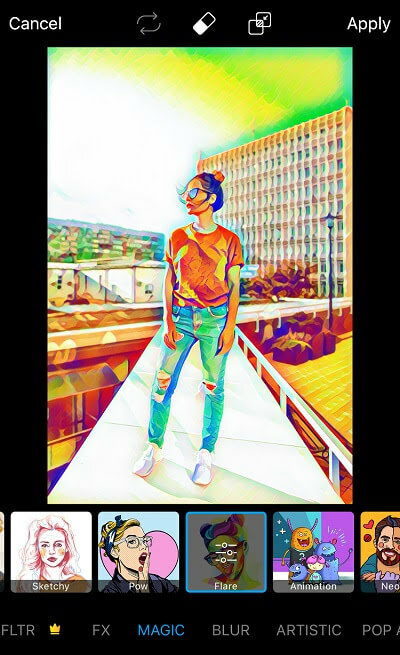 PicsArt app comes with millions of sticker choices from cool effects like spirals, smoke effects, color splashes to emojis, wings, and hearts. 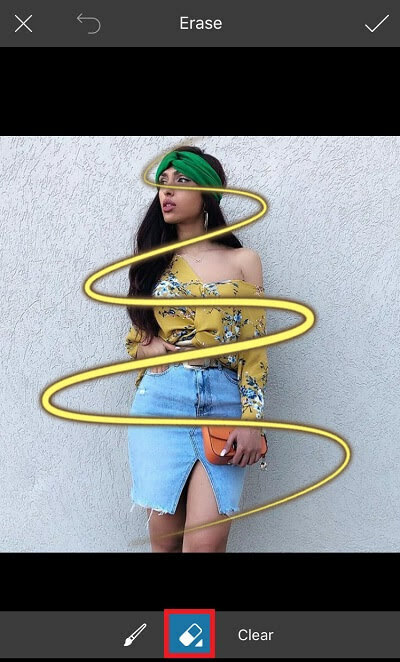 To create a winding spiral around a person, select a spiral sticker and add over the subject. Move the spiral around and enlarge it until you get the right size. Select the eraser tool and deselect every other spiral to make it look real. 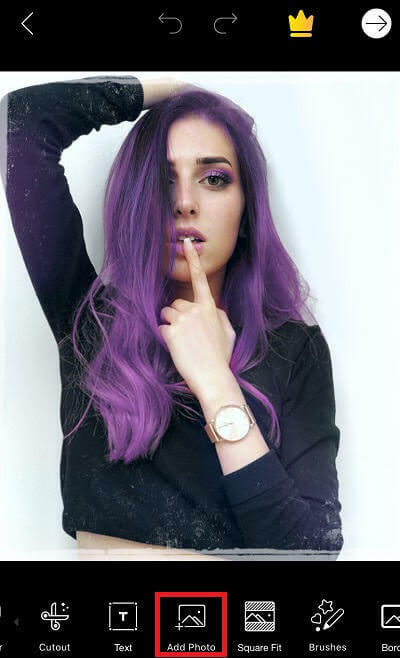 You can also change the opacity of the spiral or the color hue to make it fit better into the image. 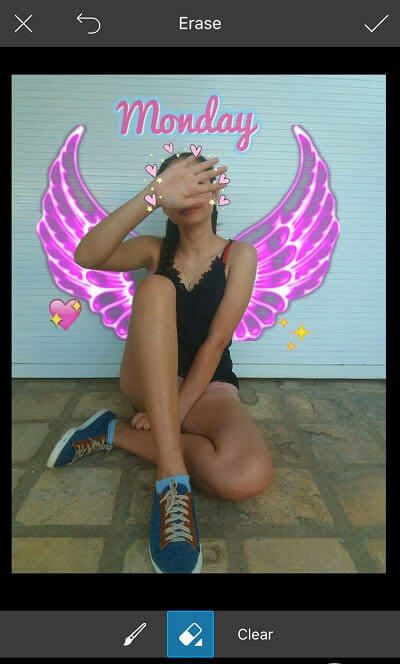 Another popular use of PicsArt Stickers is adding wings and emojis to pictures. To add wings, select the sticker and place it around the person. Use the eraser tool to erase areas around clothing and body. Pixart comes with tons of fun sticker choices to add fun elements to pictures. The draw tool lets you free draw on the image. The drawing tool comes in different shapes, sizes, opacity, and hardness. You can even change the color of the draw tool in any hue. A popular use of the draw tool is to draw lines around a person in a photo. 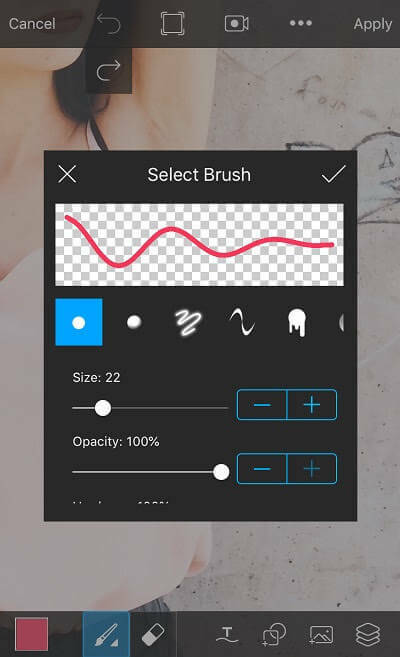 To do that select the Draw tool, click on the brush image and select the first brush of the choices. Change the size to 22, Opacity to 100% and the Hardness to 100. 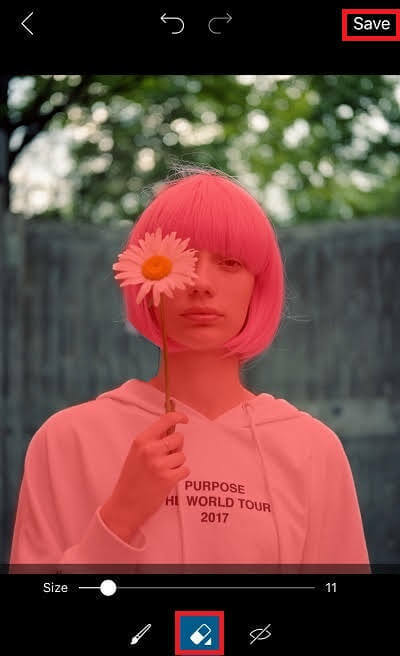 You can change the color hue to a different tone like pink, or white. Then draw around the person in little lines. Drawing lines around the person is an easy PicsArt edit to make the subject stand out. 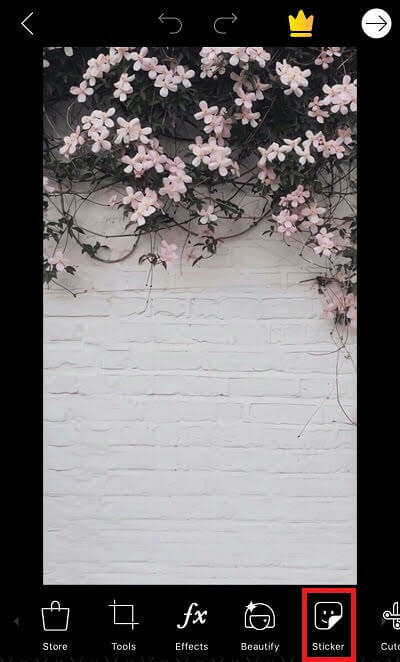 Many PicsArt users want to learn how to use PicsArt to change the background of their images. With the Cutout function, you can crop people from an image and paste them into other images or backgrounds. To do that pick an image, select Cutout and the person icon. 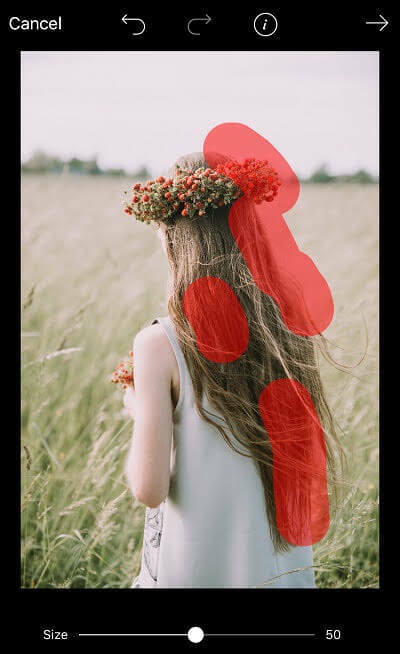 The app will automatically detect the person in the image in red color to cut out. Redefine any missed parts with the brush or erase any un-needed parts as needed. Select Save and the cutout person will be saved as a new Sticker. Then exit out and open a new image that you want to use as the new background. Go to stickers and your cutout person should be saved under My Stickers. Select your cutout sticker and it will be added to the new background. From there you can blend the images, adjust brightness, opacity and more. Once you’ve gotten a nice blended look, click Apply to save the changes. Add Photo function is one of PicsArt’s best editing tricks to layer an image on top of another one. 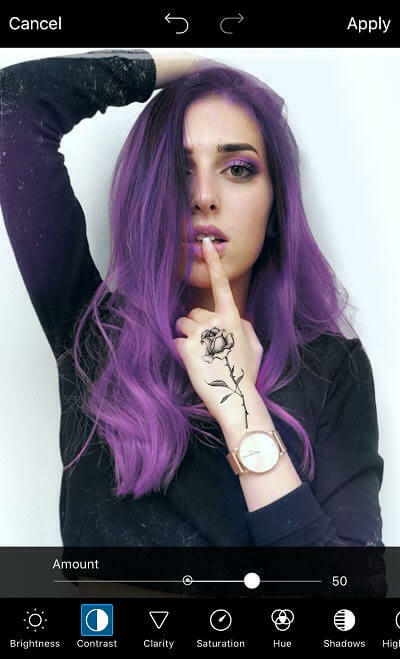 In this example, we’ll show you how to layer a tattoo onto a person. Open up an image and then go to Add Photo to add the second image on top of the first one. 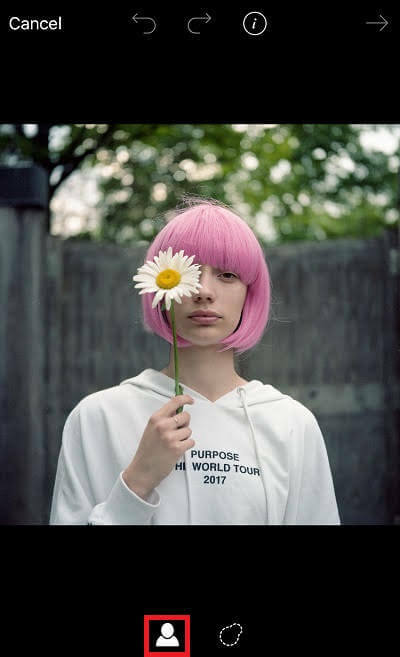 Resize the second image to fit onto the first one. Then go to Blend and Click Multiply to make it transparent. Adjust Contrast and Brightness as needed to make it look natural. 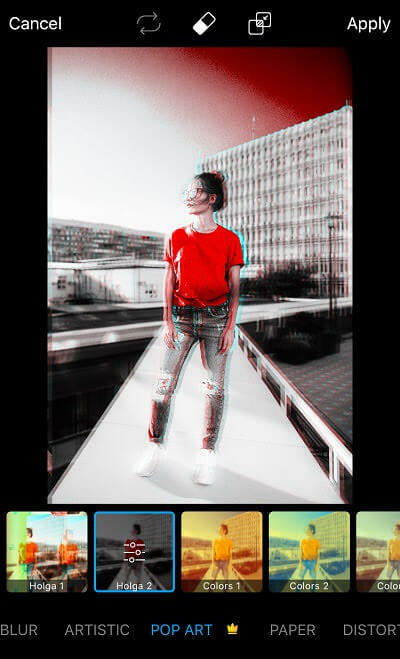 Mask tool adds cool textures and looks to pictures like light leaks, bokeh, texture and more. The Mask tool works similar to the Effects tool and applies different looks to images like filters. The main difference is that Masks don’t always cover the entire image and often add an effect or background texture to a part of the image. Some of these masks like light leaks and bokeh give pictures a really cool look. PicsArt editing app is amazing for color manipulation. The Curves Tool is widely used to create a red and blue overlay in images. To create this look, open an image, select Tools and then Curves. 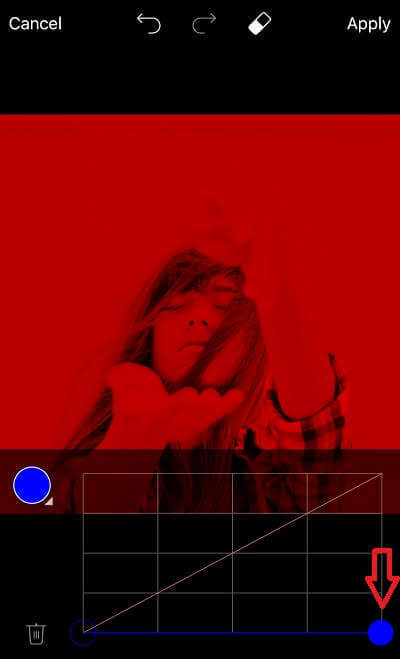 Select the red color and move the upper right dot of the grid all the way to the bottom until the image becomes blue in color. Click Apply and save the image to your camera roll. Now start again with the original image and go back to the Curves Tool. Select the green color this time and drag the upper right circle all the way down. Then select the blue color and do the same. Your image should now be bright red. Click Apply and go to Add Photo to add the blue image on top of the red one. Enlarge the blue image until it covers the red image completely, click Blend and then Lighten to get a subtle red and blue overlay look. 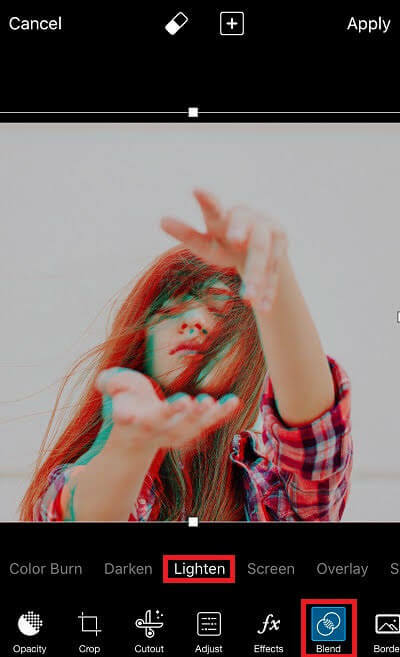 Move the image around until you get a nice distorted look. 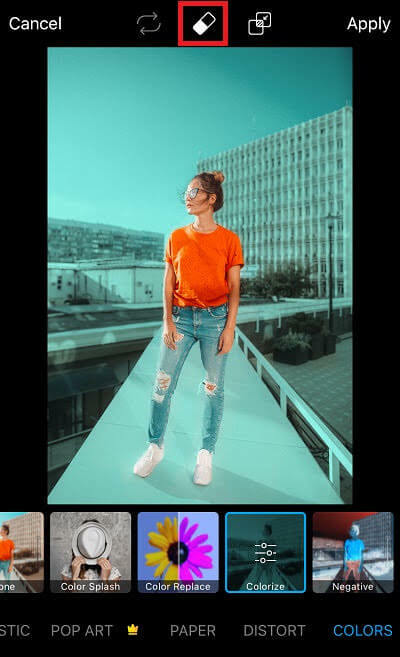 We recently ranked a list of top 40 best apps to use with Instagram and PicsArt Photo Editor without a doubt is the most popular photo editing app to create special effects. 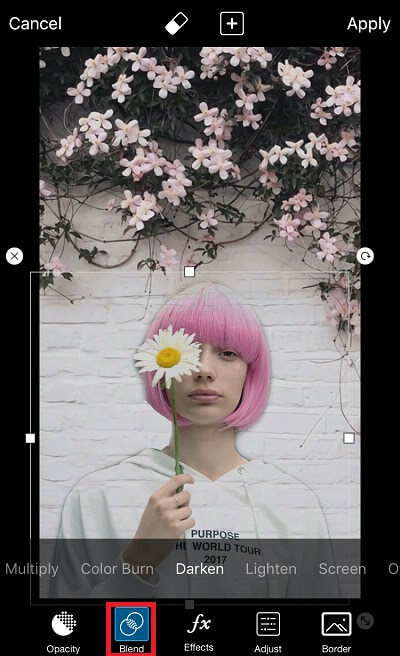 With Picsart App everyone can learn how to edit like a pro without the frustrations that come with professional editing apps. 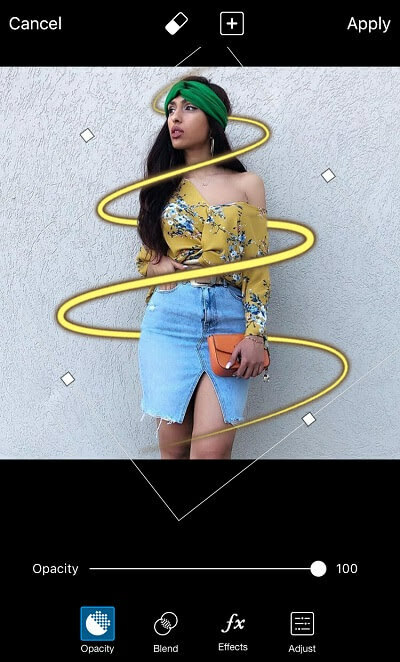 If you’re looking for an easy photo editing app that can blend two photos together, add stickers, cool filters and create artistic looks, PicsArt Editor is the perfect app for you. 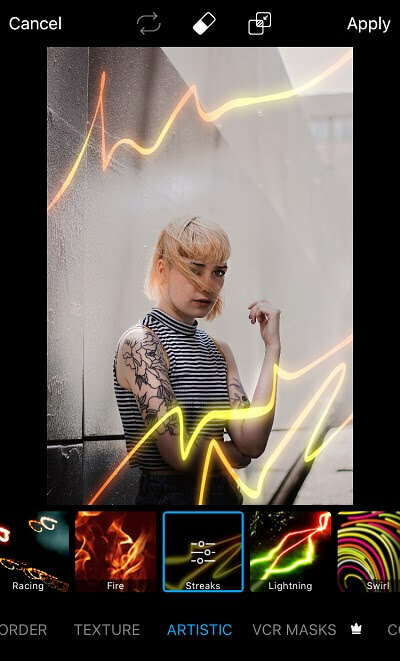 It is super easy to use and comes packed with amazing features and tricks to create photos that you’ll be proud to share. Great job thanks for sharing an informative steps.